On 30th August 2015, our petroleum minister Dharmendra Pradhan launched a scheme called “Sahaj” which provides facility for online booking of new LPG (Liquefied Petroleum Gas) connections. How to register for that? Which is the official website? Here, in this article we have included everything about it. Let’s have a look. The new LPG connection online facility has been launched in 12 cities on 30th august 2015. Those cities include Chandigarh, Delhi, Ahmedabad, Bengaluru, Bhopal, Bhubneshwar, Chennai, Hyderabad, Lucknow, Kolkata, Patna, Pune, and Mumbai. Well, now the question arises that how one can register for the new LPG connection online? Here is the solution! How to register for new LPG connection online? Customer looking for new LPG connection online will have to visit the official website http://www.mylpg.in and search for the new connection. 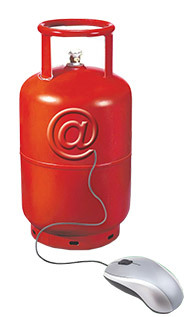 Moreover, you can also go for the specific website of your LPG connection whether you have HP gas, Indane Gas, or Bharat gas. Go on the particular website and register for the new connection today. This scheme will enable users to book new LPG connection online as well as make online payments for the same. Here are the benefits of SAHAJ scheme. Easy Managing: With this new scheme, customers will be able to track the progress of its LPG connection application and also the confirmed approval or rejection. Customer’s Choice: If you are a customer, you can choose a type of connection required for your home like single cylinder or double cylinder. Cashless: Well, in this new scheme you have to pay money online instead of giving it to the delivery man or the dealer. Time Saving: You don’t have to call or visit the office to book for a new connection. You can simply book for a new LPG connection online and it will ultimately save your time! Have you heard about that? The government of India is planning to launch a mini gas cylinder of 2 kg and it will be available at local kirana stores as well. In the year 2013, the small 5 kg cylinder was launched at Rs 155; however the mini cylinder of 2 kg is now going to launch to help migrants, students, and economically poor people who can not afford to buy the costly cylinder. For any help regarding new LPG connection online, write a comment below and ask a question!